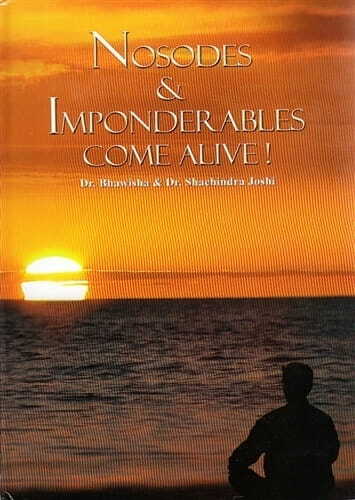 In this book the main sensation behind the nosodes and imponderables are explained by Dr. Bhawisha and Dr. Shachindra Joshi. The authors have been engaged with the subject since 2003 and have since then lectured and worked on the basic feeling of these remedies through the Sensation method. The reader can follow the journey of the Joshis and see how they came to the understanding of these remedies. Different nosodes and imponderables have been demonstrated and well explained though cases each of which have at least two years of follow up. The book also helps to understand the basic difference between the different miasms as well as their nosodes. A whole new concept on miasmatic relationships and the comparison between different miasms another salient feature of this book. The Joshis rich and intriguing experiences with imponderables have been explored in-depth. Furthermore we can read differentiation with similar remedy groups in both nosodes and imponderable categories. The concepts in the book will help you use these remedies and also recognize many new ones in your own practice. This much needed book fills a void in our homeopathic materia medica for those of us who are working with the Sensation Method, but also provides valuable information for anyone who is interested in themes and essences of remedies, and how they relate to their families and groups. The preface sets the scene: the husband and wife authors have been working with Dr Rajan Sankaran in Mumbai for 10 years, having been part of the "roots" of the Sensation Method. They explain that their "first interaction" with these remedies was in 2003, and since then they have developed a deep connection and understanding, which they go on to share in this book. Of course, the Method is a work in progress, as is the understanding of remedies at this deeper level, and in their conclusion, the Joshis note that the topics and themes discussed will evolve and expand in the future. But what a fantastic starting point! At the beginning of the book, for those new to the Method, they set out a brief description of the kingdoms and how to identify them in a case, before moving on to the meat of the book - the nosodes. What follows is a cornucopia of valuable information, both reaching back into the solid materia medica that already exists, and into new territory, clearly setting out the themes of this new "kingdom" and words which might be found in a case. They explain how the miasm characteristics (a brief description of each, as defined by Dr Sankaran, is included) are uppermost in these cases. Also included is a description of the picture of 16 nosodes. There is then a chapter on differentiating nosodes from animals and minerals, and detailed cases of Ringworm, Carcinosinum, Medorrhinum, Tuberculinum and Batillinum; easy to follow charts to summarise and help readers to understand the remedy pictures: and interesting comparisons between fungi, nosodes, bacteria, sarcodes and Lac humanum. It is p225 before we reach the imponderables, and after a brief introduction the authors move onto a detailed case of Sol to explore the "deep sensation of energy and matter". While this section is not as solid as the previous chapters (only to be expected with imponderables) it is nonetheless a valuable resource with some interesting ideas and exploration of the characteristics of Sol, Lunar, Electricitas, Thunderstorm, Magnets poll ambo and X-ray, before finally looking at how the concept of miasms might apply in the imponderables. This book however, does lack the finesse of Dr Sankaran's volumes, and it's price tag is on the high side particularly as it has been published in India. But it is packed with information and I am sure I will be regularly dipping into it. In this work, the nosodes and imponderables have certainly been born!